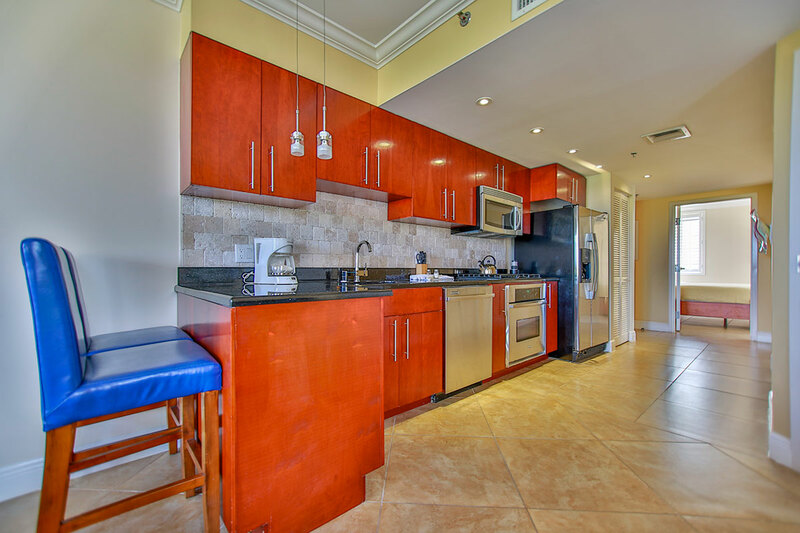 As you enter this great condo, you will find the second bedroom with queen-size bed, built-in closets and its private modern full bathroom, including a whirlpool bathtub. 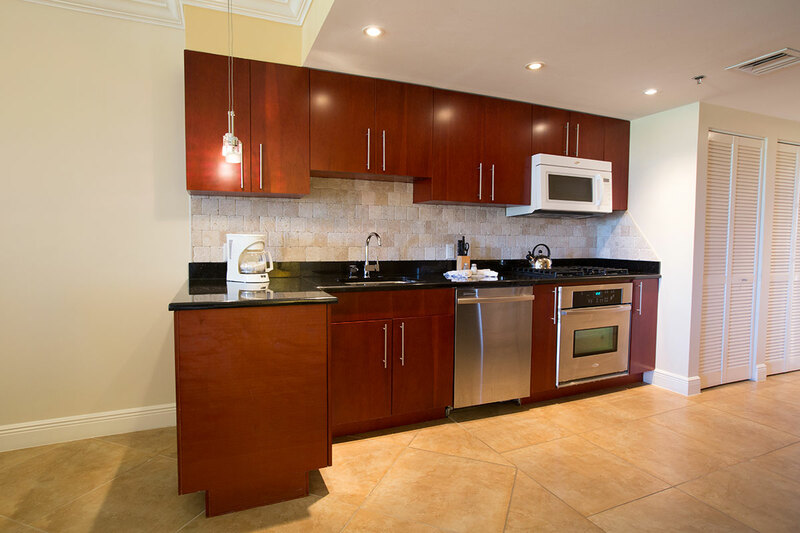 Walking further through the unit, the full-sized fully equipped modern kitchen welcomes you in style, providing all facilities that you will need to prepare your own vacation delights and cuisine. 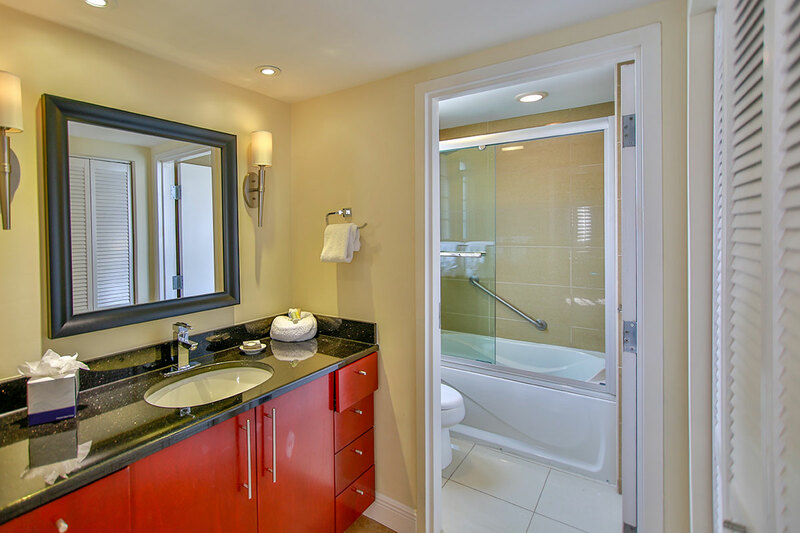 Even a laundry closet with washer and dryer is simply included for your convenience. 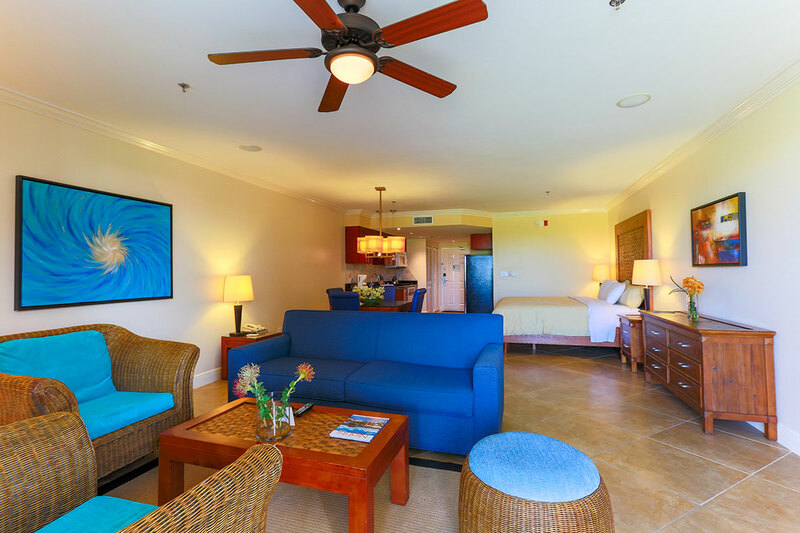 You then flow into the spacious living/dining area, having a very comfortable queen-size sofa bed with two matching sofa chairs. 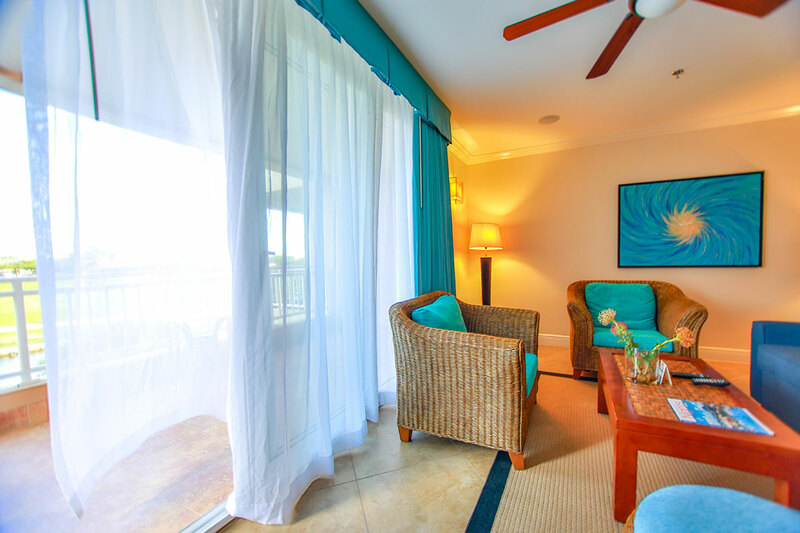 This living area blends graciously with the wide balcony, which overlooks the majestic golf and lake premises of The Links Golf course at Divi; this balcony with terrace and lounging furniture is an excellent place for your early breakfast or evening cocktails. 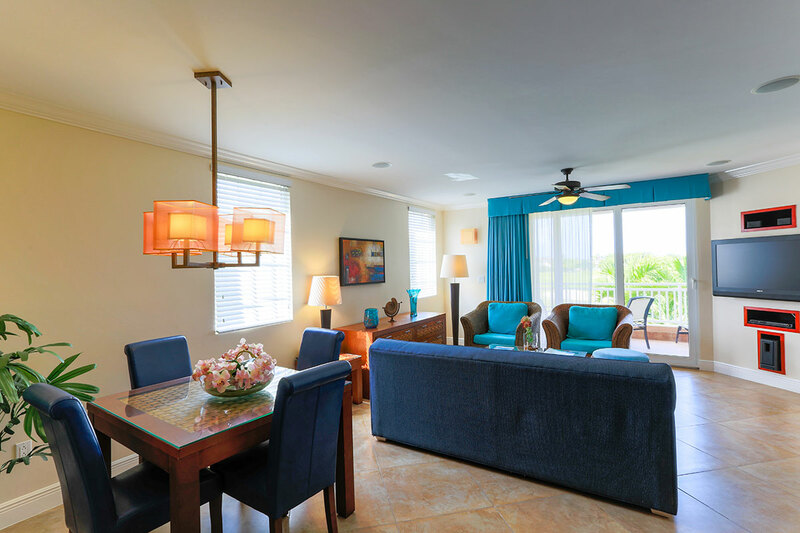 Off in an exquisite corner of the living/dining area you have your 4-seat dining table for your formal meals and there is another (third) modern bathroom for your visiting guests. 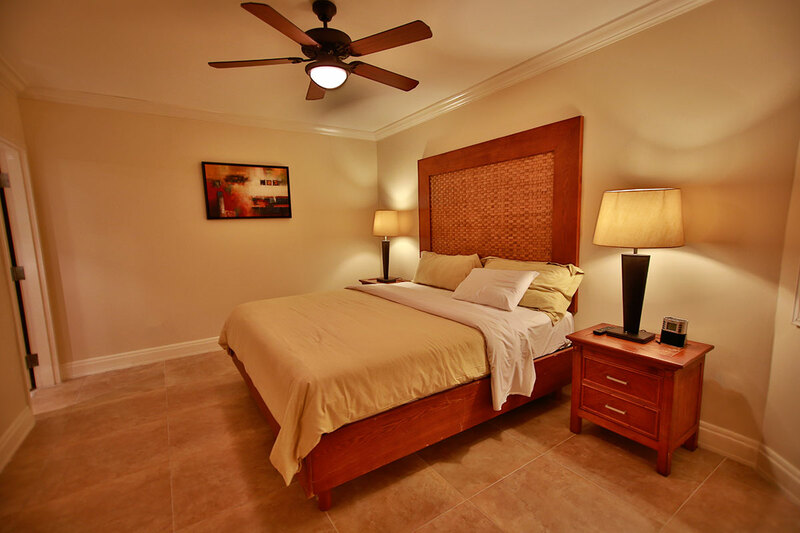 The master suite tops off this amazing condo, incorporating a majestic king-size bed and a large and modern full bathroom with a whirlpool bathtub and a separate shower area. 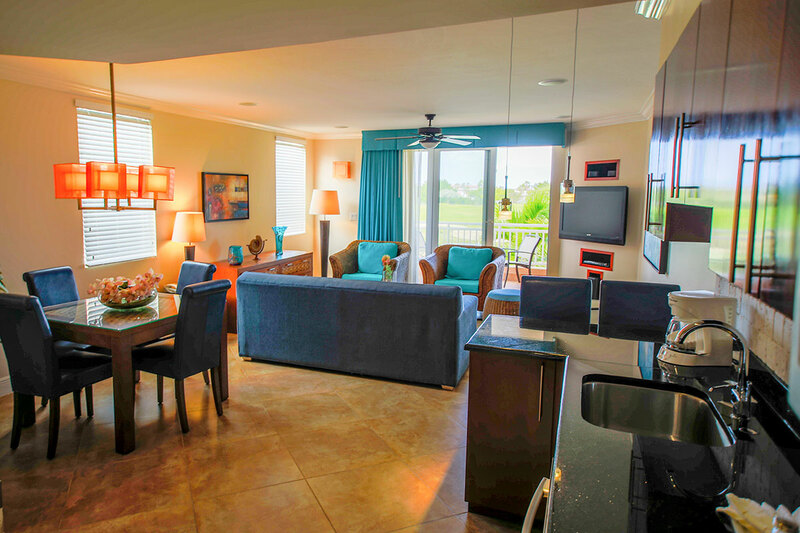 This unit provides you with spacious indulgence. 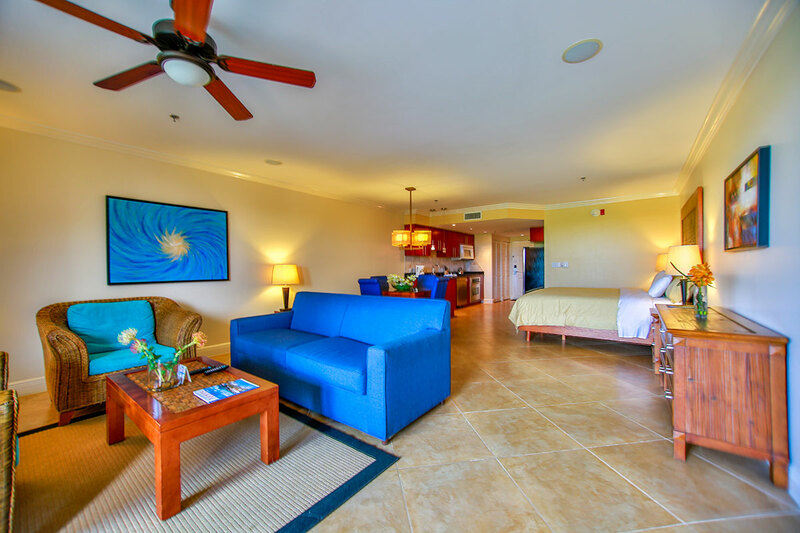 Cable TV, three high-definition flat screen TV’s (in living room and each bedroom), a DVD player, free broadband wireless internet, and an iPod compatible stereo set are all available for your extra comfort. 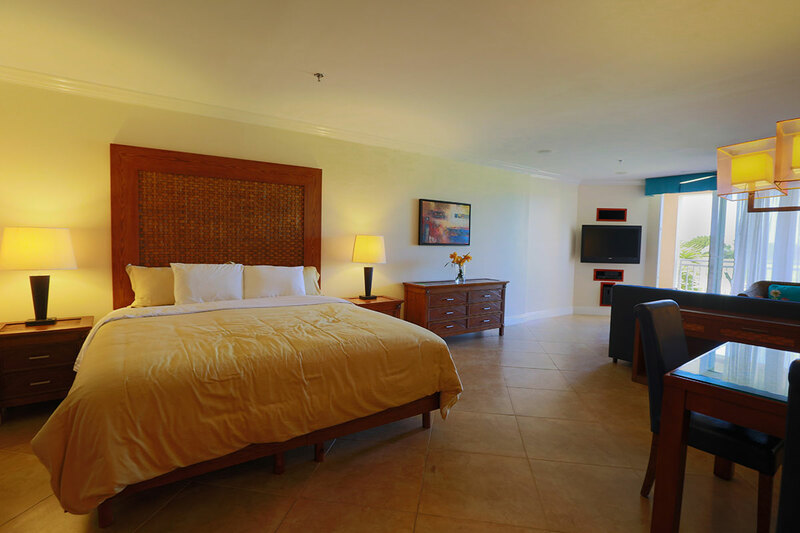 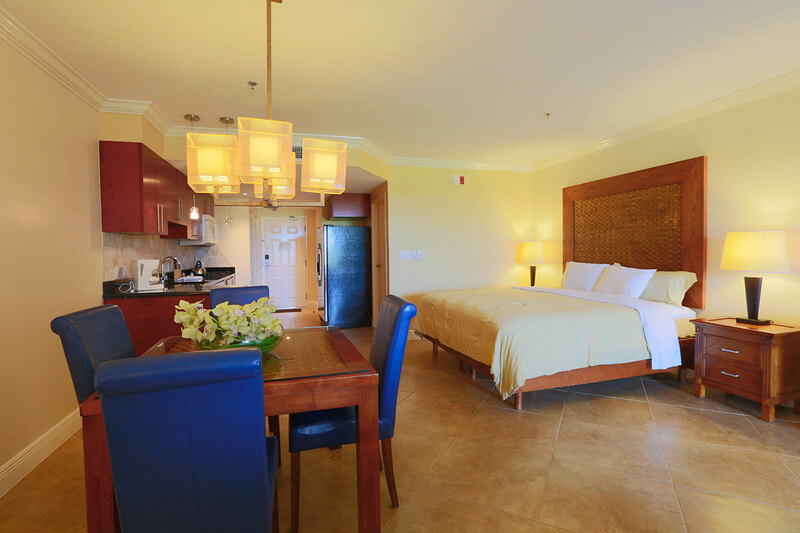 This unit is located in the luxury complex of The Residences at Divi Village Golf & Beach Resort - Sleeps max 6. 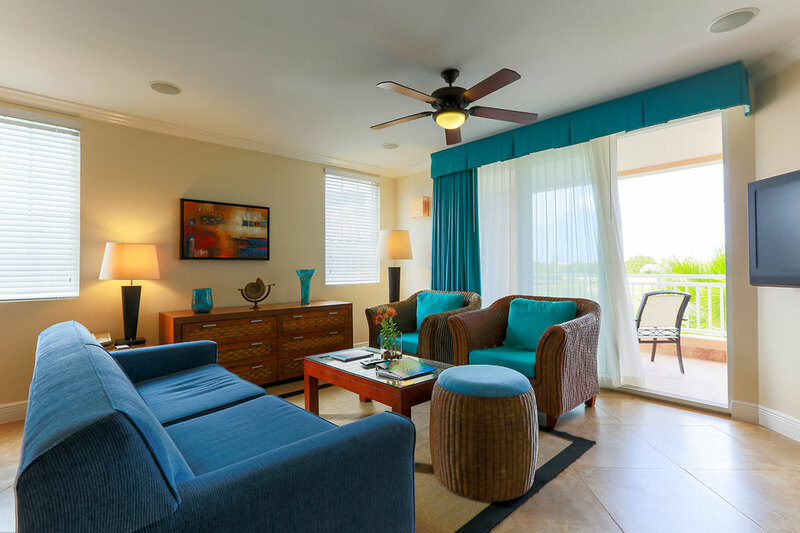 The Residences at the Divi Village Golf & Beach Resort offers a full range of amenities including four freshwater swimming pools, three restaurants, spa, modern oceanfront fitness center, activities desk, water sports, and more. 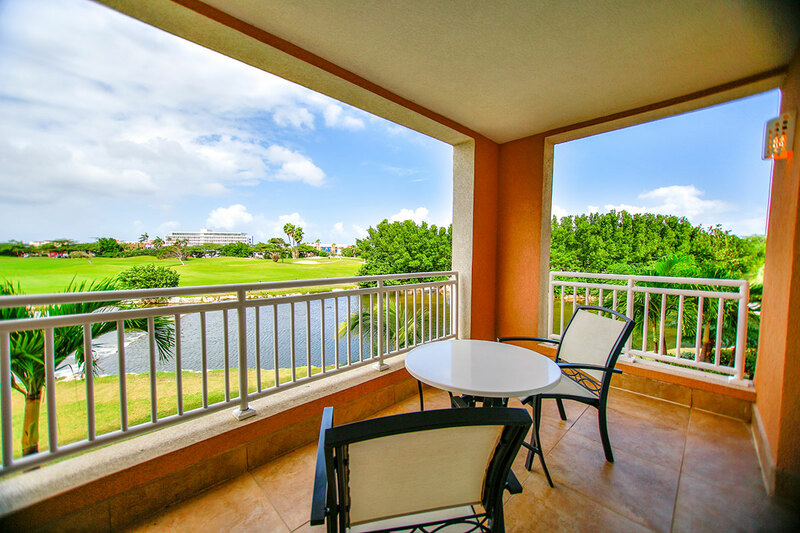 Nestled within the lush greens of The Links - a 9-hole ocean view golf course offers play over water and beautifully landscaped lagoons. 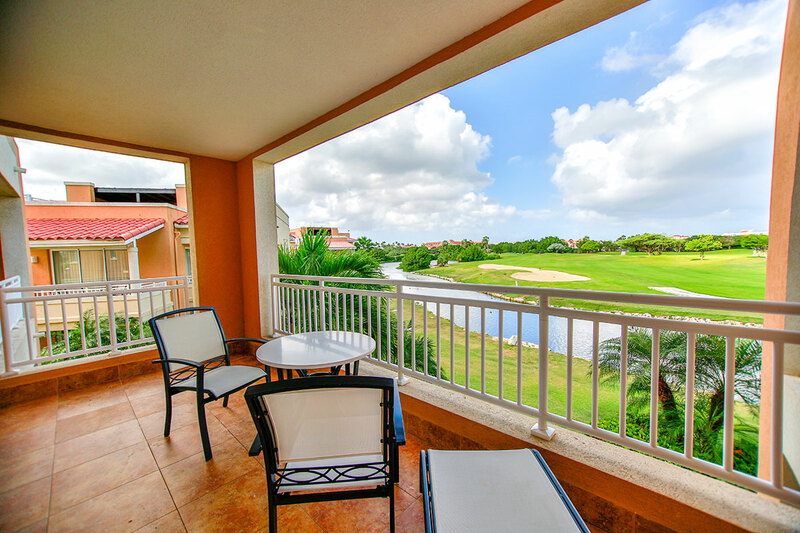 Dining options include Mulligans - a casual semi-open air restaurant with an eclectic menu and views to the golf course; and Windows on Aruba - a fine dining restaurant rated among the best on the island. 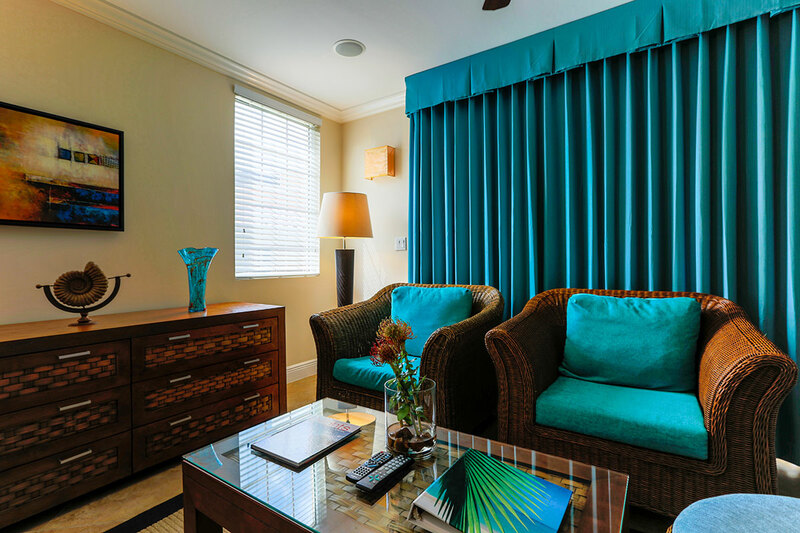 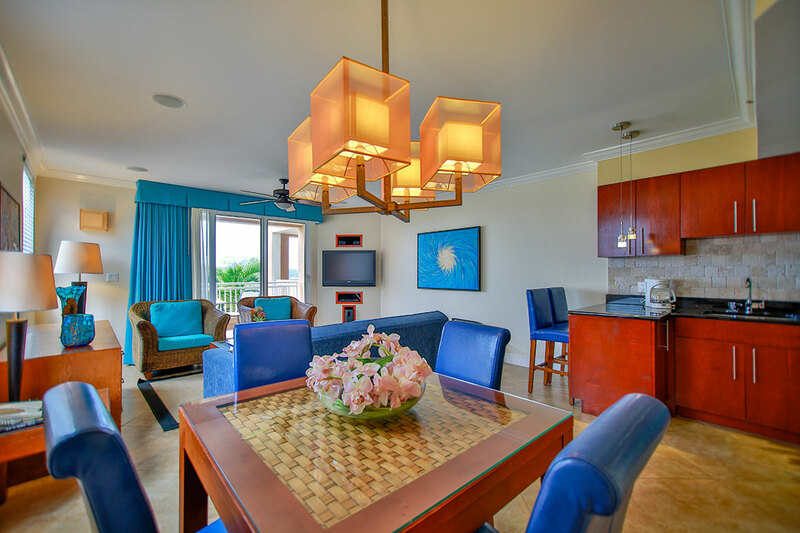 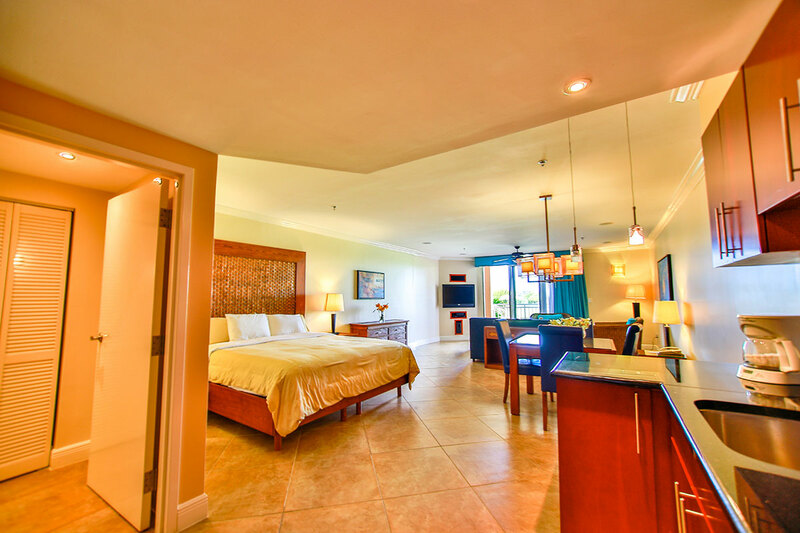 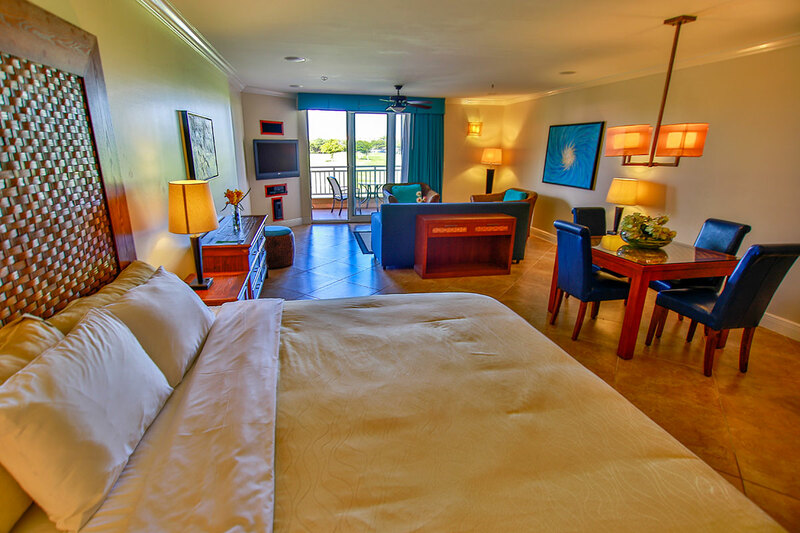 Enjoy the tranquility of The Residences, stroll to the beautiful beach just steps in front of the complex, be shuttled around to make good use of your access to Divi's resort locations and thus create your own most unforgettable vacation in Aruba.